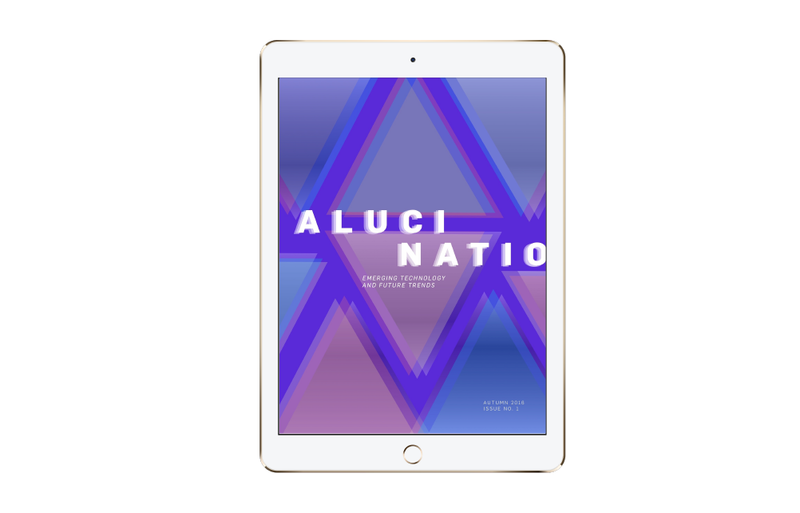 Alucinatio (which means hallucination in Latin) is a digital publication that introduces emerging technology to excite people who may not be familiar with new developments. 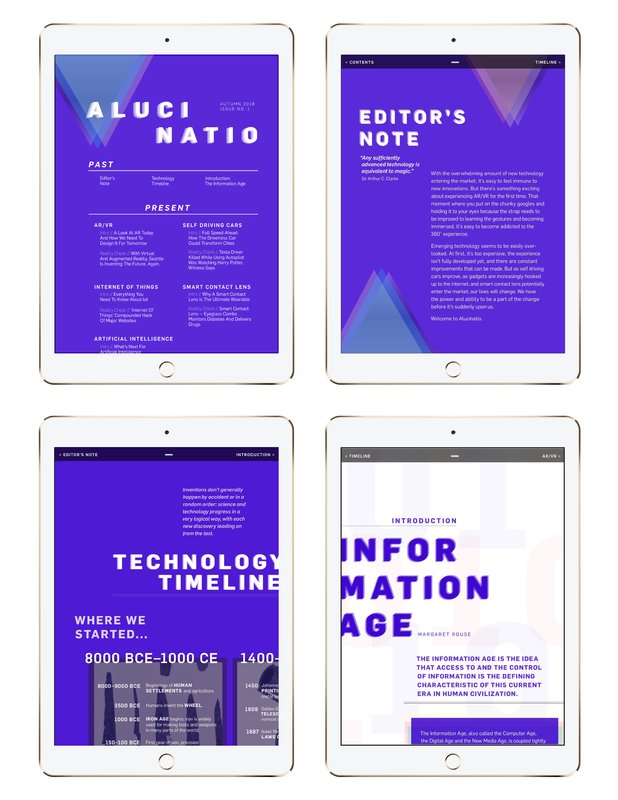 This publication is divided into three sections. The first is past technological inventions, which then moves into present technology, and then finally into future technology. 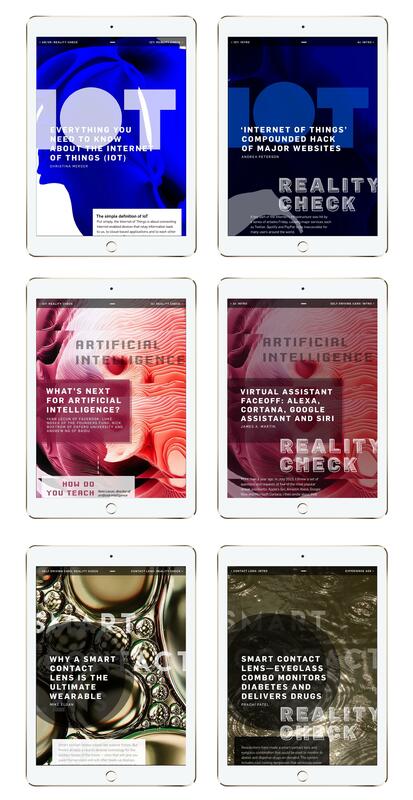 The present technology section includes articles on AR/VR, Internet of Things, Artificial Intelligence, Self Driving Cars, and Smart Contact Lens. The first article on each technology introduces what it is, current capabilities, why it's cool. The second article about the technology is then a "reality check" section featuring a personal experience or current event that brings it back down to earth and reveals current limitations or downsides. 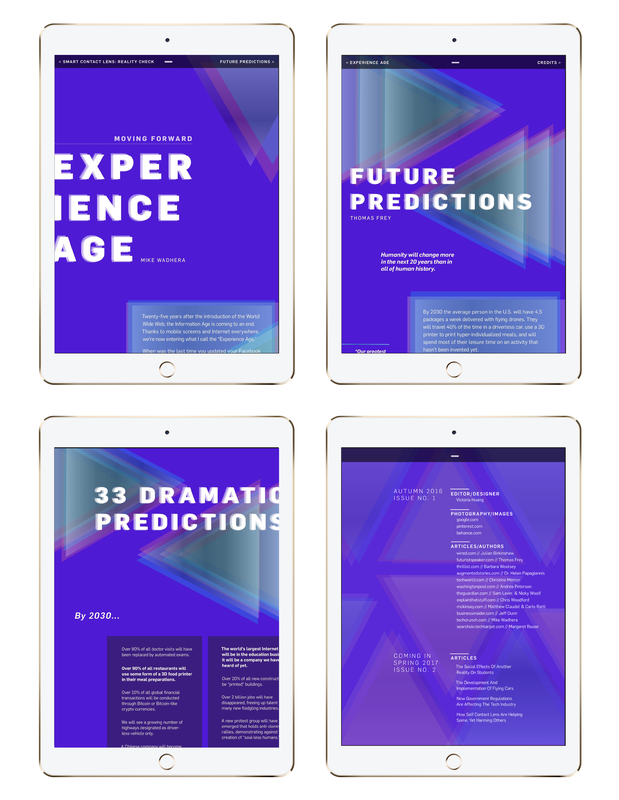 To wrap up the publication, the future technology section explains the new age of tech we're moving into and includes a list of predictions to help excite and help you think about future developments.